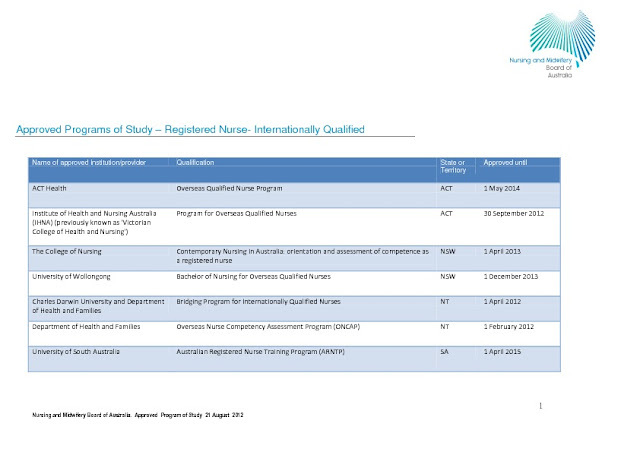 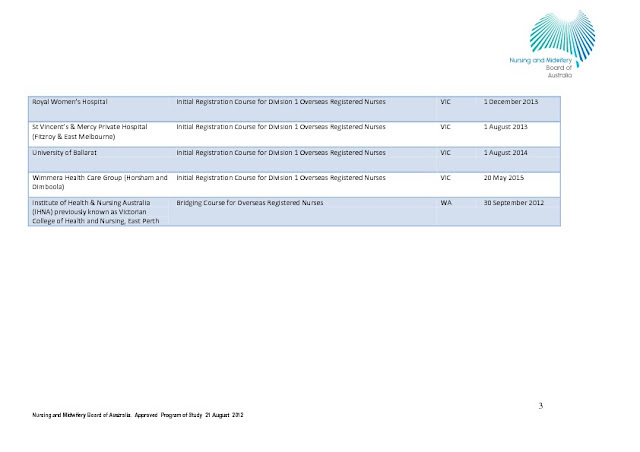 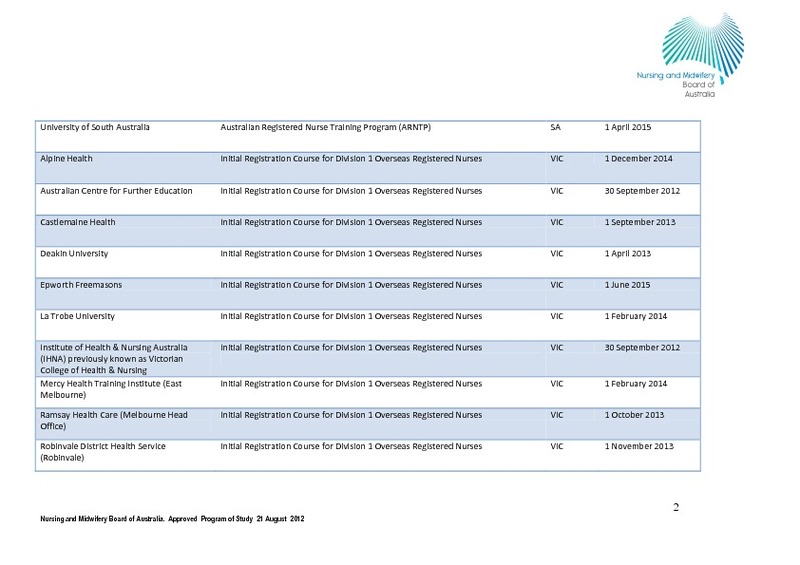 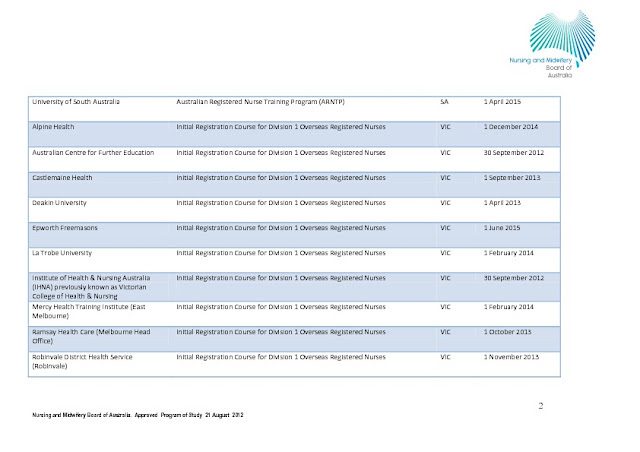 Below you will find the approved program for registered nurse from overseas. This copy can be downloaded as well from its original link from NMBA ( http://www.nursingmidwiferyboard.gov.au/Accreditation/Approved-Programs-of-Study.aspx ). 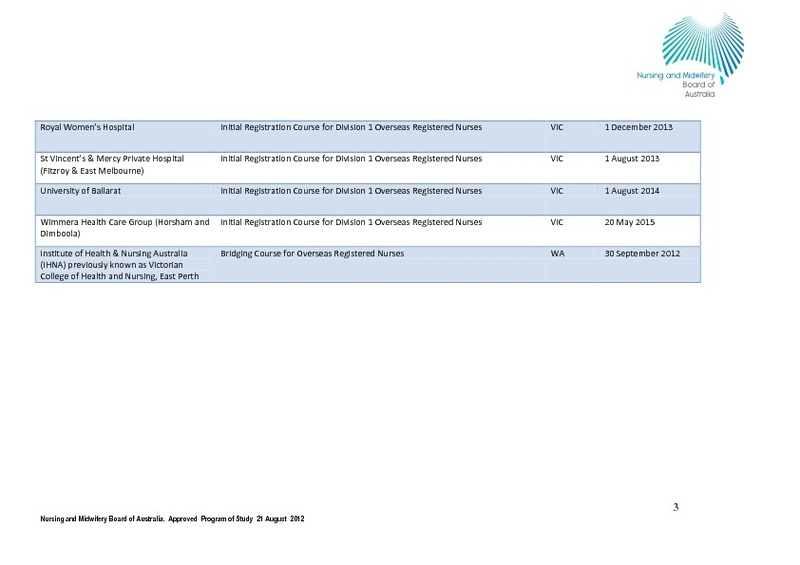 Kindly click on the image to view the complete programs.